File Types: PNG, All Files; File Size: 65.98 MB; DPI: 300 DPI. This watercolor set allows you to use bows alone or together with ribbons for decoration of your design. Simply combine bow with ribbon, horizontally or vertically. You also can to apply the distortion and deformation of the the ribbon, as well as layer blend modes. You just need basic knowledge of Photoshop to show your fantasy in the design. All elements are drawn by hand on paper and then converted into a digital format in High Quality. Great for greetings, invitations, packaging design, gifts, textile design, banners, prints, wall art, decoration blog or website, scrapbooking, branding and more. If you would like to use this set for items for sale you have to select Extended License. If you have any questions, please, send me a message before purchasing. Keywords: bow, ribbon, bows, ribbons, tape, strip, watercolor, set, hand painted, hand drawn, bow set watercolor, bright, retro, natural, fabric, rope, burlap, big, small, rustic, clipart, invitation, gift, decoration, wedding, happy birthday, elements, watercolour, bow clip art, twine, twine bow, wrapping, linen rope with bow, jute rope bow..
Best ddsign template, vectors, illustrations, video templates from creative professional designers with After Effect, PhotoShop, 3DS Max, Cinema 4D or InDesign. 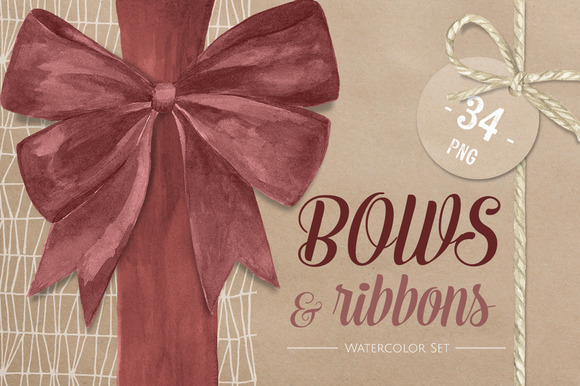 Full details of CreativeMarket Bows Ribbons Watercolor Set 601577 for digital design and education. CreativeMarket Bows Ribbons Watercolor Set 601577 desigen style information or anything related.